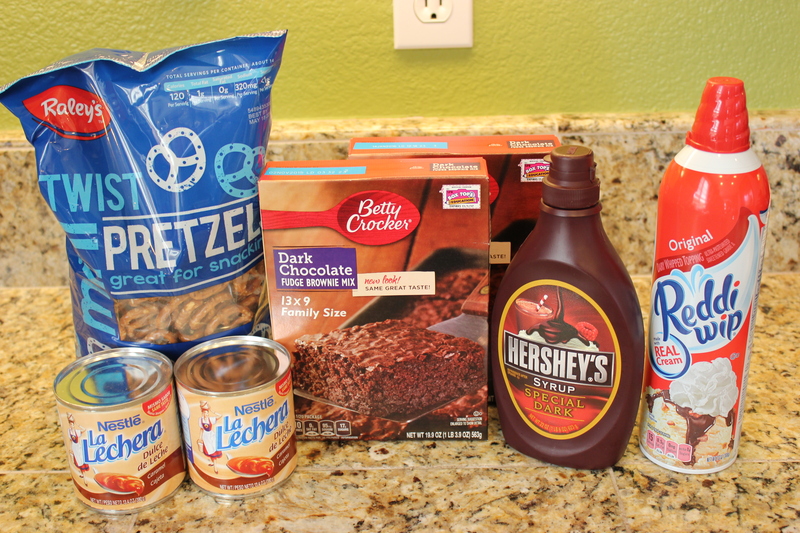 I began with Betty Crocker boxed brownie mix, and I added 1/4 cup of my favorite black cocoa. This stuff is so intense! 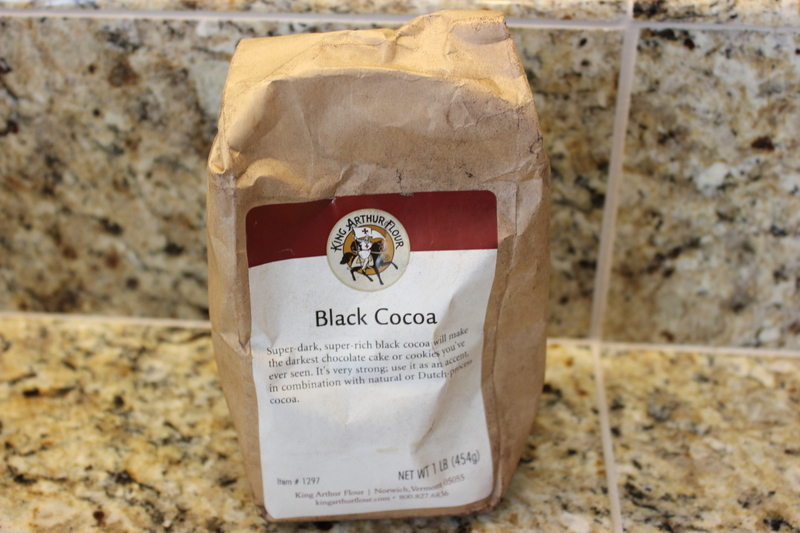 It’s a deep dark cocoa that will liven up even the most boring brownie or pre-made cake mix. I buy mine from King Arthur Flour Company. Then I made a pretzel base with crushed pretzels, brown sugar, melted butter, flour and a touch of baking soda. 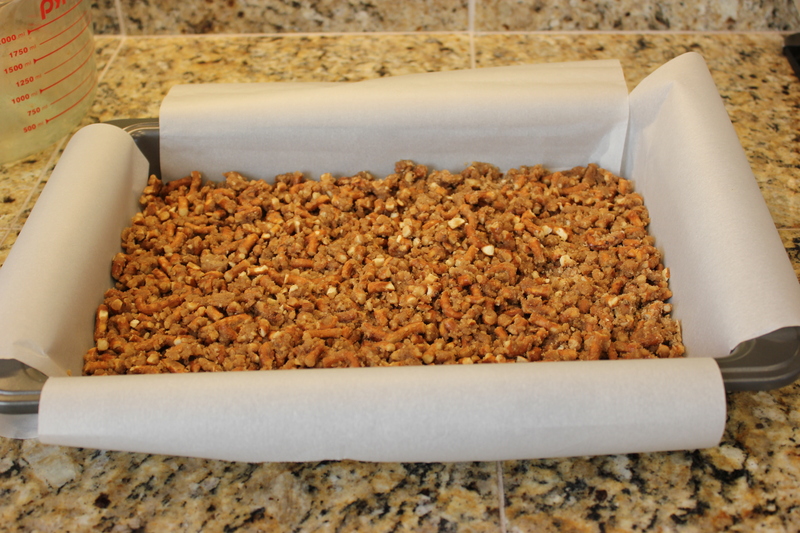 And poured it into a parchment lined cake pan. Once the base was baked for about 10 minutes, I mixed the brownie batter according to the directions with the additional black cocoa. 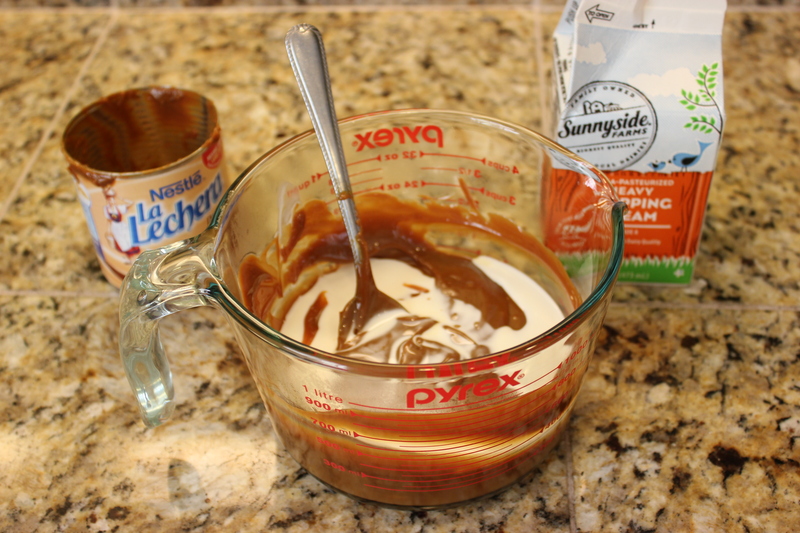 Then I opened 1 can of the Nestle dulce de leche and mixed 5 tbs. heavy cream to it and microwaved it for about 30 seconds to loosen the caramel enough to drizzle it across the brownie batter. 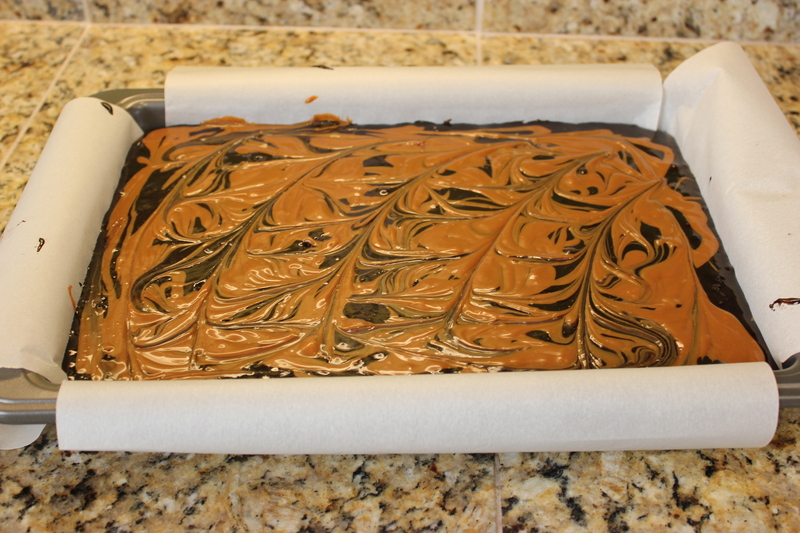 Since I used an extra large pan, with two boxes of brownie mix, the baking time was about 45 minutes. Once the brownies were completely cool, I pulled the parchment out of the pan and cut brownies into rings, using my 4 inch metal baking ring. 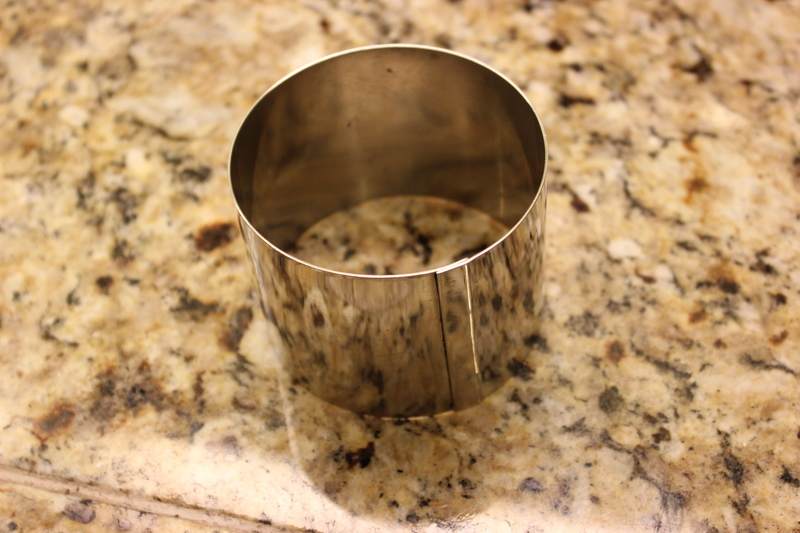 (If you don’t have baking rings, a small soup can with both ends removed will work, otherwise cutting it into a square will work just fine. 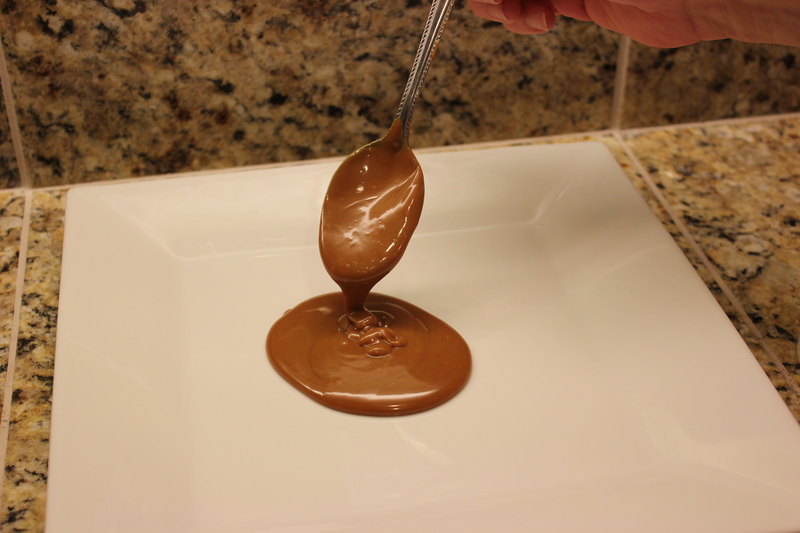 To make a pretty but simple plating, I used a second can of Dulce De Leche, and again heated it with about 5 tbs. 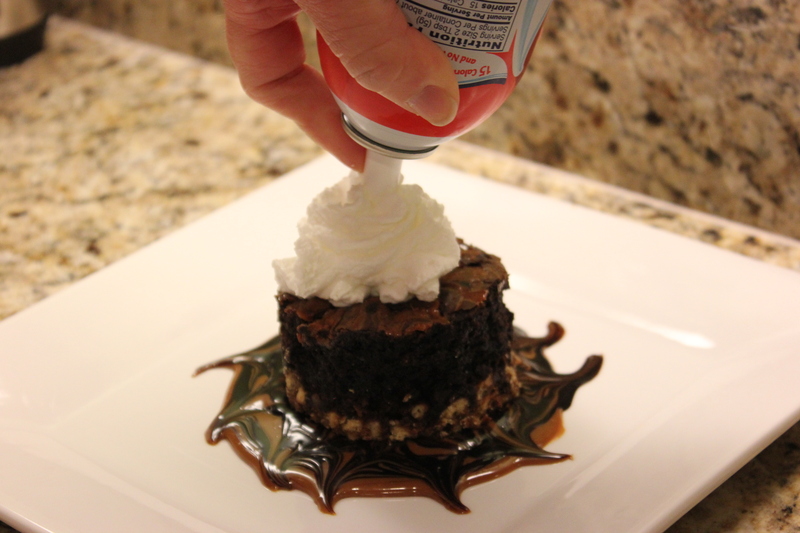 heavy cream to make it loose enough to drizzle on a plate. 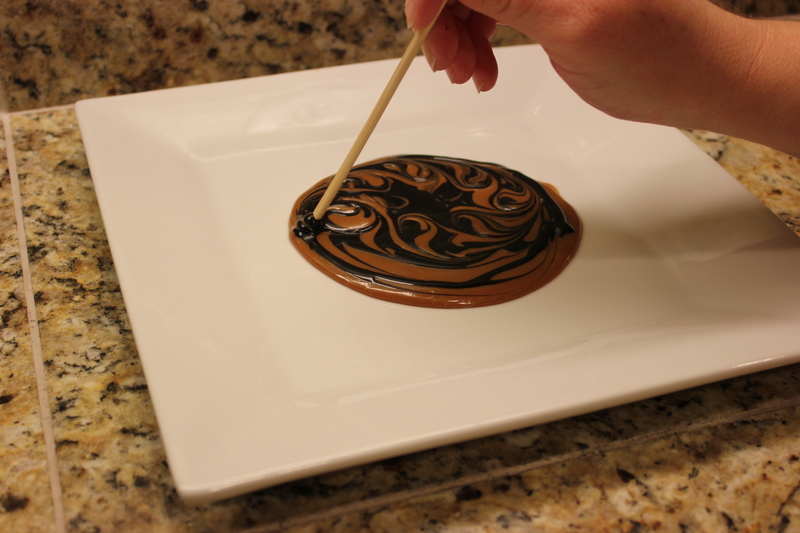 Once the caramel was pooled into the center of the plate, I used the back of the spoon to move it out in a circular motion to make the circle larger. 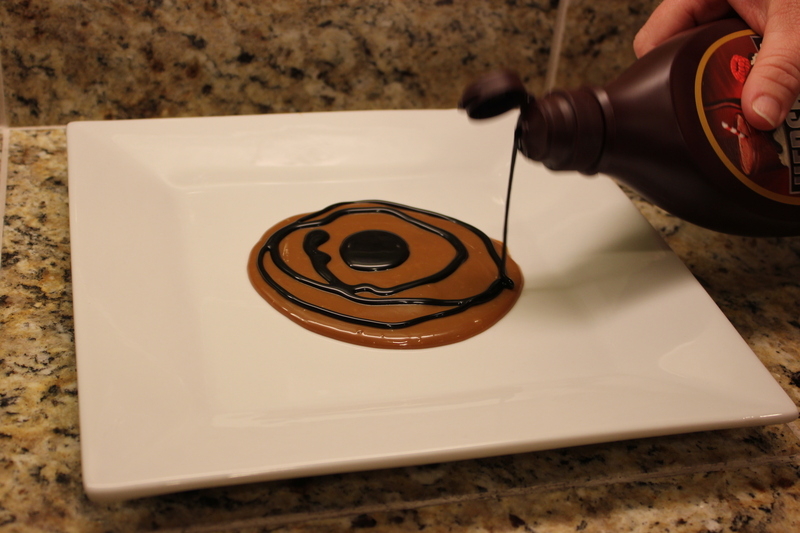 A good old fashion bottle of Hershey’s Special Dark Syrup was poured into the center and rings around the caramel. Normally, I’d use a squirt bottle with a bit more control, but again, this was just for Danny, not for a client, so no need to make it perfect. 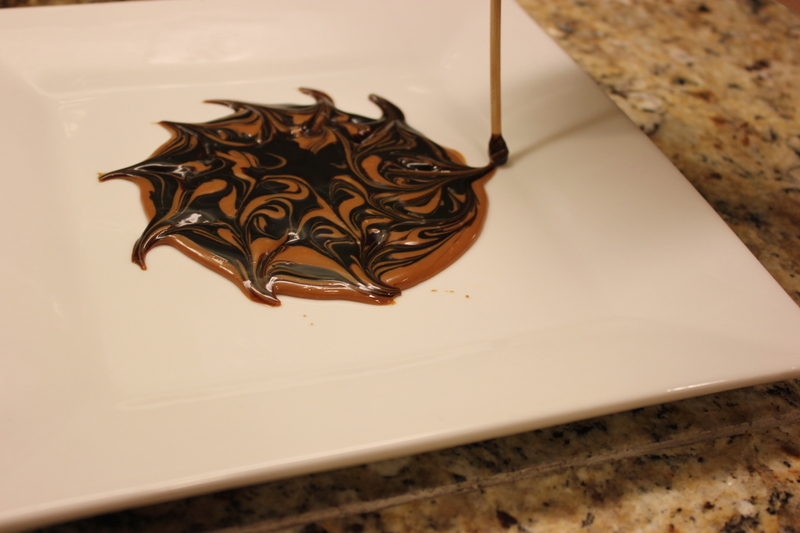 Then I used the blunt end of a wooden skewer to make swirls in the sauces, by making small circular motions. It’s important not too mix it too much, or it won’t make a marble effect. Then I just pulled the sauces outward to create little “tails”. This gives the sauce a sense of movement. 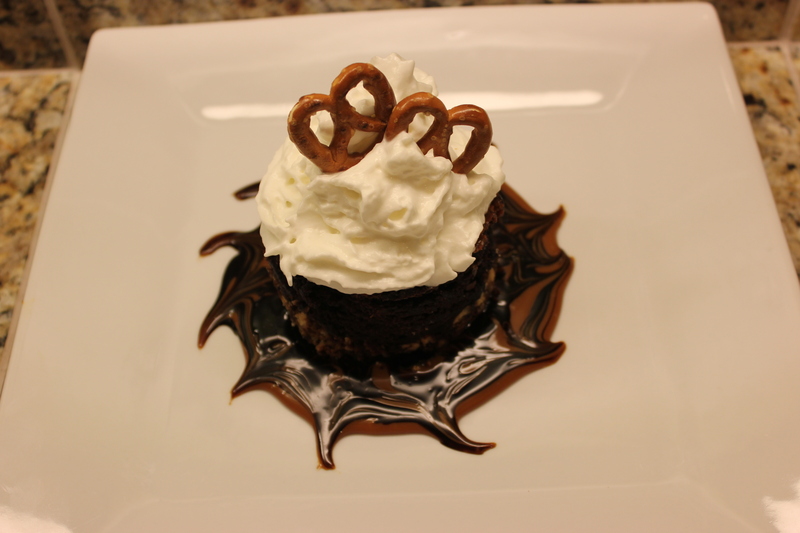 All that was left was to top the brownie with Redi Whip and two pretzels, so we could share in a Wednesday night treat. Since Valentine’s Day is tomorrow, this would be a really simple one for all of you out there who want to impress your special Valentine. And you could make it even easier on yourself by purchasing a ready-made brownie in the bakery department, and just plating it. I promise, your Sweetheart will think you went to a cooking class to learn this just for him/her!